South Korean automaker Hyundai has put plans to launch a Multi Purpose Vehicle (MPV) in the Indian market on the backburner. The MPV, code-named 'IP', was supposed to be launched during the festive season in 2017. The people-carrier, when launched, would have competed against the Maruti Suzuki Ertiga, Honda Mobilio and Renault Lodgy. Hyundai has been compelled to rethink its debut in the MPV segment as customers increasingly opt for stylish and sporty compact SUVs, which straddle in the same price bracket and offer similar seating ergonomics as MPVs. A year-on-year comparison of the performance of the SUV segments (sub 4-metre and above 4-metre) against the MPV segment corroborates this trend. According to data from the Society of Indian Automobile Manufacturers (SIAM), between fiscal 2015 and 2016, the compact SUV segment registered a growth of 59.15 per cent, while the SUV segment saw sales rise 13.71 per cent. 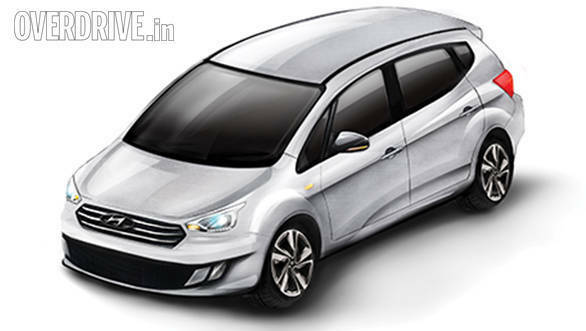 In contrast, the MPV segment declined 16.13 per cent during the same period. Rakesh Srivastava, Senior Vice President (Sales & Marketing), Hyundai Motor India, said, "The MPV segment, as a category, is declining in volumes and its contribution to the overall industry is shrinking, a sign that the segment is yet to mature. This segment requires far deeper understanding over larger periods for new products aspiring larger volumes with sustainable growth." Inevitably, Hyundai will focus on the SUV segment, where it has tasted overwhelming success with the Creta, which was launched last year. At Hyundai's 20th foundation day in Chennai last week, YK Koo, MD, Hyundai Motor India, said, "I never talked about an MPV for the Indian market. In the Indian market, the SUV segment is growing faster than MPVs. So we will concentrate on SUV Creta, and we want to launch the Tucson SUV this year and a sub-4-metre SUV in the next two years." Hyundai sold 63,900 units of the Creta between its launch in June 2015 and March 2016, taking on rivals Ford Ecosport, Renault Duster and Maruti S-Cross. From a market share of only 0.3 per cent in the UV segment in 2014-15, the Creta has helped Hyundai notch up 10 percentage points in a year to command a market share of 11 per cent. Gaurav Vangaal, Senior Analyst at IHS Automotive, believes the gap between the SUV and MPV segment is further set to widen in the coming years. Vangaal says, "Honda has started the trend of a 7-seater SUV with the BR-V. With Japanese and European car makers expected to offer a slew of 7-seater SUVs in the forthcoming years, the market for MPVs is likely to see a further setback."